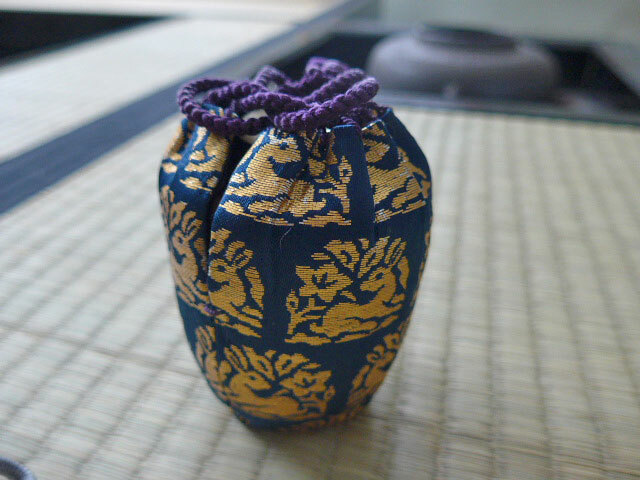 Shifuku are important protection for utensils, and part of temae for koicha is opening and handling of the shifuku for chaire. Each shifuku is custom fit for each utensil. Sometimes we find utensils without a shifuku, or the shifuku is badly damaged. 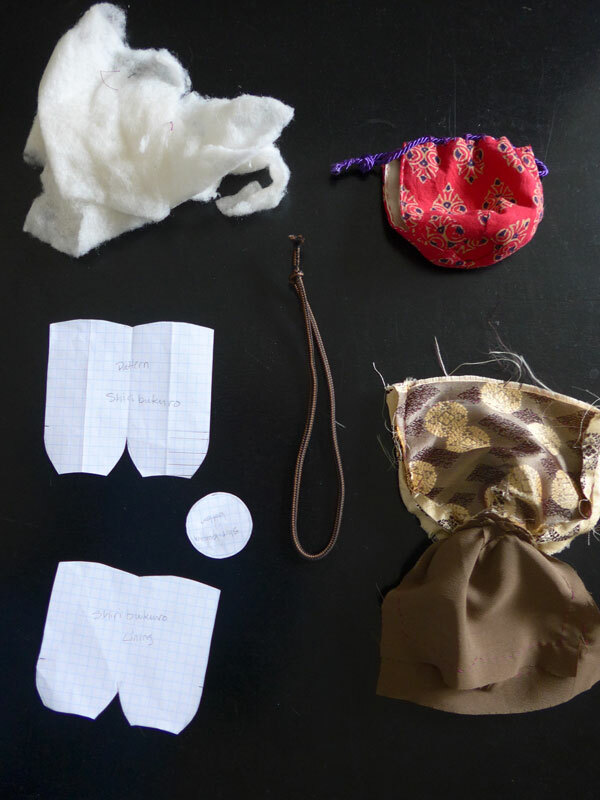 Or perhaps you would like to use a bit of fabric to make a completely new shifuku. Many famous utensils have more than one. 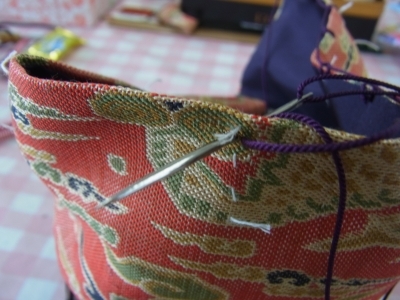 We will be holding a shifuku making workshop in March and April. The class will be in 3 parts. Part 1 is making measurements and drafting a pattern. Bring your utensil to the first class so we can custom fit the pattern. Part 2 is cutting, sewing and fitting a muslin trial. You will learn sewing techniques and how to attach the cord to your shifuku, which is a little tricky. Part 3 is making the final shifuku with brocade fabric. When you have completed the class, you will be able to draft your own patterns and sew shifuku for any number of utensils from chaire to natsume, teabowls and more. I have left enough time between classes so you can complete your homework, or bring it to regular tea class for help. There will be kits for sale with enough fabric to make a trial muslin and final silk brocade for an average chaire. Batting, cord and thread to attach to the shifuku is also included with the kit for both final and muslin. For a complete supplies list go here. Cost: $100 for the class. Kits available for $35. Space is limited. To reserve your spot, please use the link at right to submit at $30 deposit.